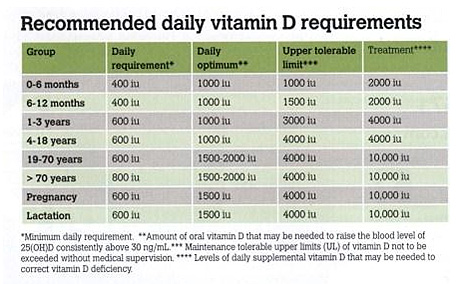 Author Jeff Bowles claims that 50,000-100,000iu does of Vitamin D3 daily has remarkable benefits. 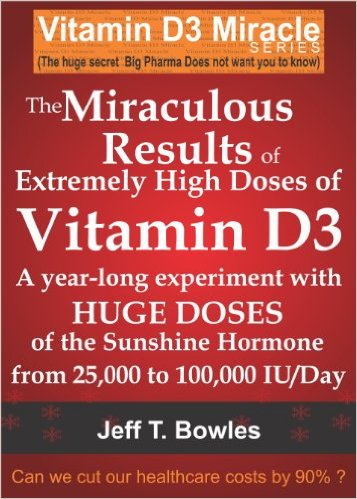 His Amazon ebook “The Miraculous Results Of Extremely High Doses Of The Sunshine Hormone Vitamin D3” is a bestseller in health category. The daily recommended dosage that you will hear from your good doctor; 400iu. Barely enough to light your match. Again we were lied to about everything. Everything (80%) the government the authorities and the likes thereof using the 80/20 principle is incorrect or at least misleading or straight up misinformation. Why do they want us to be sick? For Shekels and Profits. 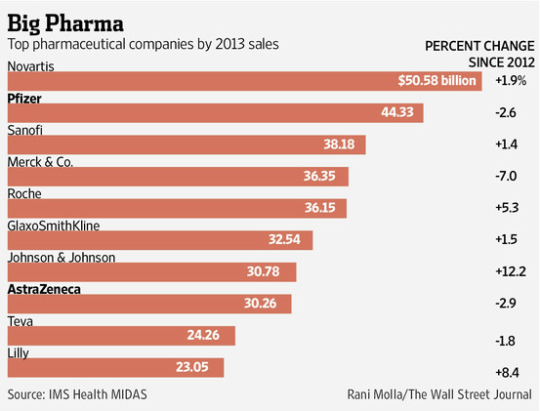 Consider that Big Pharma is a $3 USD Trillion industry and we can begin to understand the depth of the lies and deceit we encounter in our everyday lives. There are much Shekels to be made keeping people sick, but not too sick, but enough for them to be debilitated and fearful debt salves dependent on the government for all rules and regulations and rights and privileges.